How Do Authorities and Businesses Protect the Air from Pollution? When most people think of the environment, pollution and the air around us, they think about all of the carbon dioxide that’s being released into the atmosphere – the gas, which will continue to contribute heavily to climate change for a very long time to come. What many people forget about however, particularly recently, is that the other chemicals and particles released by our consuming of resources can also pose a very significant threat. This one can be more direct too; physically causing harm to those that breathe it in large or even potentially small quantities. While switching off the lights when you don’t need them is one of the ways you at home are helping to reduce energy consumption and therefore emissions, what is it that governments and large businesses are doing to combat this increasingly important issue? For governments the world over, this is all about money, and some may argue that this is the best way of reducing those pollutants in the air – not new and fancy technology, but cold hard cash. 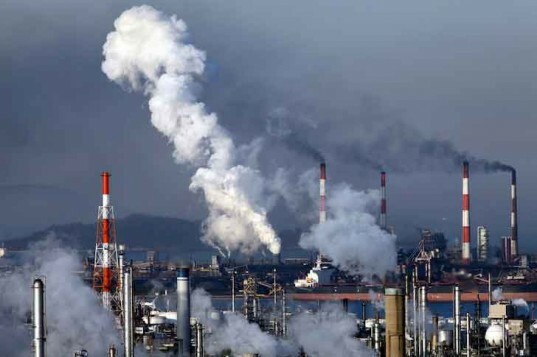 Those individuals and businesses that cause the most pollution are heavily targeted by taxes, levies and charges to discourage them from producing lots of harmful gases and particles, and incentive them to find a better way of doing things. This is beginning to move down the chain even to the consumer level as we become more and more aware of the damage that air pollution can cause. In some Chinese cities for instance, where the smog is at its worst, respiratory diseases are some of the biggest causes of death. Diesel cars and trucks are in fact one of the big contributors, pumping huge quantities of dangerous particles into the air, and as a result, there are many places where charges are being made to those that drive diesel cars in heavily urbanised areas such as city centres. Of course, discouraging people from creating the pollutants in the first place is only one half of the challenge. On the business side of things, they want to continue their normal operations, but through methods that pollute the air less. This means using technologies that attempt to cut out the harmful chemicals and particles before they’re released into the atmosphere. There are many such methods, depending on what exactly needs to be removed from the exhaust gases. As an example, if the danger is an organic particle, then thermal oxidisers are the best way of prepping the gases before they escape into the atmosphere. The answer to solving the issues of air pollution is threefold. At home, we must be aware of what we’re doing and consuming that might cause the release of harmful pollutants, businesses must work on technologies to make their operations more efficient, and governments and authorities have to continue the discouraging of pollution, and the incentive of finding solutions to the problem. Posted on August 14, 2015 Author wiseadminCategories PollutionTags Businesses, Environment, ProtectLeave a comment on How Do Authorities and Businesses Protect the Air from Pollution?